Welcome to the Senior Dog Care Resource Page. What is it you ask? It is a list of products and links to various articles to help you take the best care of your furry companion. 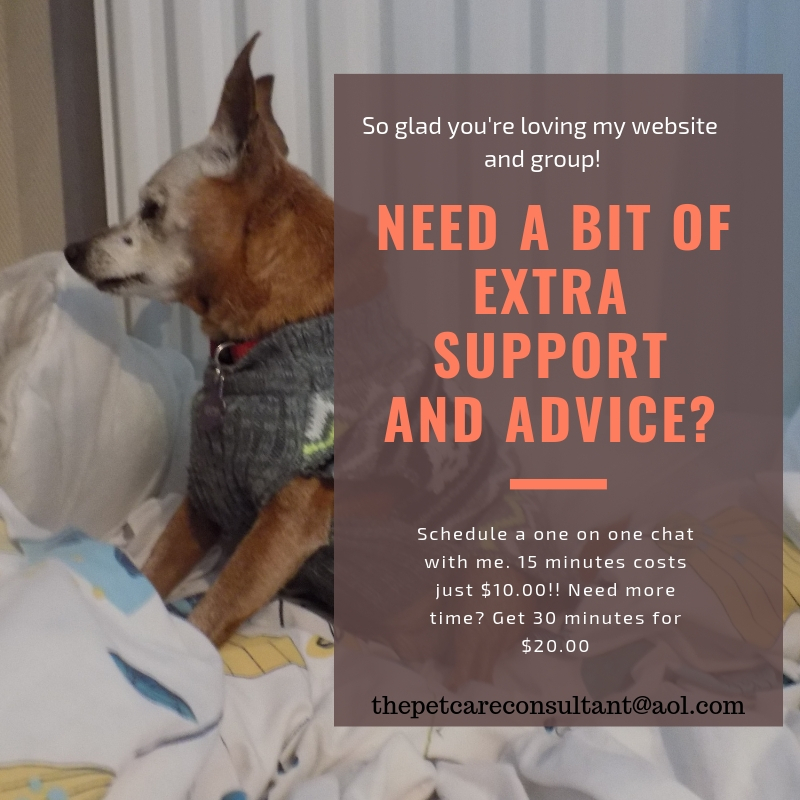 While my website, Caring for a Senior Dog is very easy to navigate, this resource page will just consist of links so you can find what you’re looking for even quicker. It is in alphabetical order by condition or issue. A lot of these products have been recommended by the members of my FB group, Senior Dog Care Club, some I have personal experience with and others have received good reviews by users I do not know. It is always up to the individual (and in the case of supplements, food etc.. in consultation with a vet) to determine if a certain item is suitable for their dog. Some of the links will be affiliate links, which means if you purchase anything I will make a very small commission. This does not increase the cost of your purchase at all, but it does allow me to keep this blog running. 30 Percent of Dogs Show These Anxiety Triggers — Are Any True for Your Pet? Whether your dog is experiencing some vision loss or is completely blind, physical exercise and mental stimulation are still very important. Yes it can take time to adapt, but don’t leave her lying around getting bored and depressed. When finding new toys for her think about her other senses and choose ones that make noise and are treat dispensing. When it comes to the “noisy” toys keep in mind the volume. Some dogs won’t mind it and others may be fearful. I’m going to state the obvious by saying be careful the toy you give your dog is not too small, and if there is a squeaker or something similar inside don’t leave him unattended as he could chew through the toy and swallow it. We all know our dogs need physical exercise, even if it’s a few short walks each day, but mental stimulation is just as important. There is so much buzz about the wonders of CBD oil, it feels like it’s being touted as the best thing since sliced bread! Sorry I hate cliches but it seemed to fit in this case! Anyway… while it doesn’t work for every dog, many members of my FB group have seen some positive results, even great results, so I have created a separate section just to list the ones recommended by them. Congestive Heart Failure in Dogs – same title, different article!! Do Dogs Grieve Over the Loss of an Animal Companion? Kidney Disease in Dogs: How Much Do You Know? 5 Signs of Pain That Owners Often Overlook – Are You Missing Them? Is Raw Food the Answer to our Old Dog’s Health Problems? This section is about pain management in general, not for any specific condition. If your dog is experiencing pain, no matter the reason, this list will be helpful when discussing treatment options with your vet.